We constantly see so-called Hollywood liberals trying to blame Trump for anything and everything. Everything is Trump’s fault! Late-night comedian Jimmy Kimmel has been critical of Trump and Republicans in recent months. But now he has a new target, our first Lady Melania Trump. On Monday night, Kimmel viciously mocked Melania Trump’s foreign accent during Easter festivities at the White House. President Donald Trump told Easter Egg Roll attendees that his wife “worked so hard” on the event and thanked her for her help. 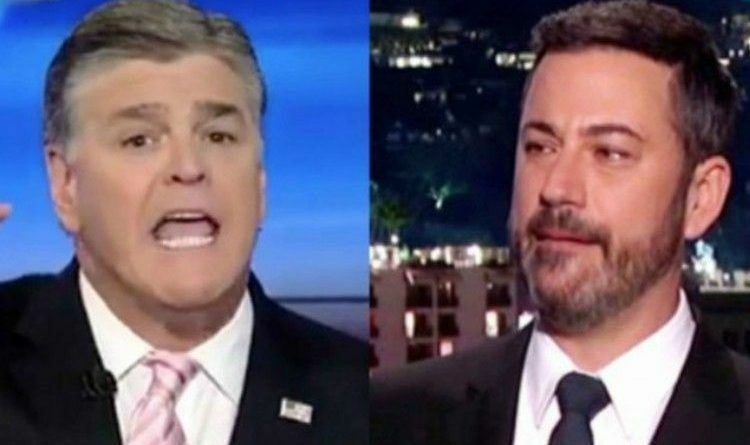 Well, beloved Conservative Fox News host Sean Hannity had a few things to say to Kimmel after news broke of Kimmel’s attack on Melania Trump. Hannity showed a video clip taken from Jimmy Kimmel’s talk show during which he brutally attacked Melania Trump’s pronunciation of different words that she said while reading a book to the children who were attending the annual White House Easter Egg Roll. Watch Hannity give it to Kimmel in the video below. Now the tolerant left mocks an immigrant’s accent? A woman who speaks five languages as compared to his one language of asinine indoctrinated propaganda speech? What’s the matter, Jimmy? You don’t like LEGAL immigrants? There is no bottom for these Leftists. They compete to go lower and lower every day. And Jimmy Kimmel is just pathetic. So, thank you, Jimmy, for making people vote for Trump again.